Acanthus design William Morris Ecoffee Cup. 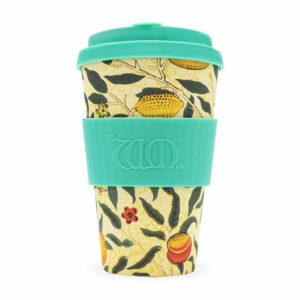 This William Morris-inspired range of Ecoffee cups are an environmentally friendly way to enjoy your morning brew on the go! We have a range of designs, this one being Pomme. The average lifespan of a single-use cup is 13 minutes – and due to their plastic content less than 1% get recycled. 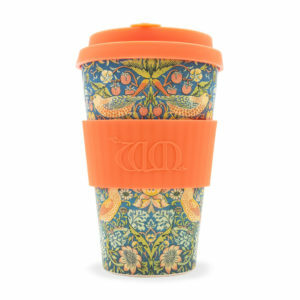 A reusable cup helps reduce demand for single-use cups. Created with the world’s fastest growing, most sustainable crop – bamboo fibre, Ecoffee Cup is BPA and phthalate free. If you haven’t experienced Ecoffee Cup, it feels a bit like thick, yet super-light cardboard; hard to believe it can hold hot liquids. 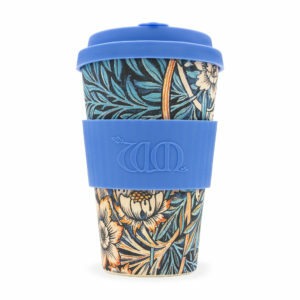 And because bamboo fibre is naturally sterile, Ecoffee Cup is lovely to drink from and won’t flavour-taint your drinks. 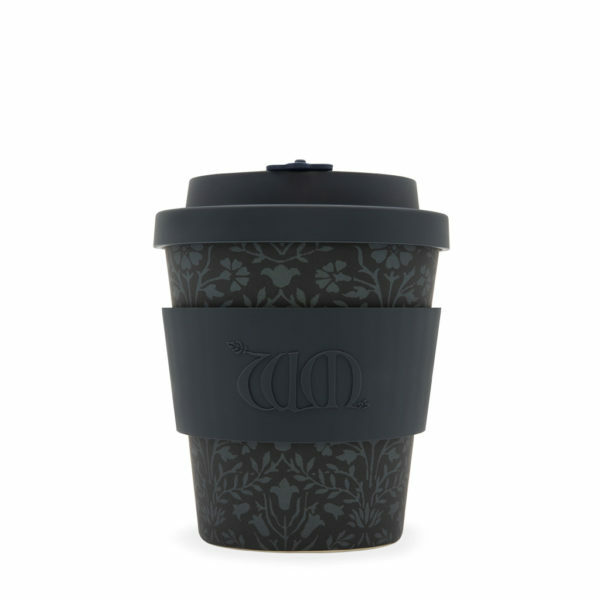 The lid and sleeve are made with matte food-grade silicone which is designed especially for hot liquids. Each year, 100 billion single use coffee cups end up as landfill. That’s why we created Ecoffee Cup, an environmentally responsible reusable made with natural bamboo fibre – one of the world’s most sustainable resources. At just 160g, it’s light, sturdy and fully dishwasher safe. It also has a resealable ‘no-drip’ lid. Ecoffee Cup. Have Fun. Do Good. Not suitable for microwave. William Morris was one of the most influential creative figures of Victorian Britain. 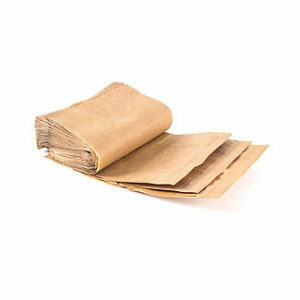 Designer, print-maker, writer, social campaigner and environmental campaigner; his creativity remains as fresh and relevant today as it was 250 years ago. Our William Morris collection represents a true embodiment of all he held true: functional classics for our times. Happier design Ecoffee Cup. 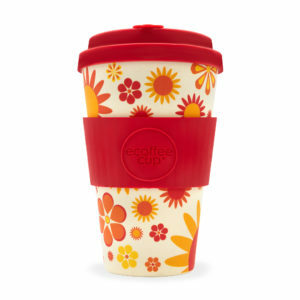 This range of Ecoffee cups are an environmentally friendly way to enjoy your morning brew on the go! We have a range of designs, this one being ”Happier” - how cheerful is that for your morning bre then? The average lifespan of a single-use cup is 13 minutes – and due to their plastic content less than 1% get recycled. 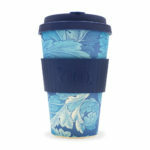 A reusable cup helps reduce demand for single-use cups. Created with the world’s fastest growing, most sustainable crop – bamboo fibre, Ecoffee Cup is BPA and phthalate free. If you haven’t experienced Ecoffee Cup, it feels a bit like thick, yet super-light cardboard; hard to believe it can hold hot liquids. And because bamboo fibre is naturally sterile, Ecoffee Cup is lovely to drink from and won’t flavour-taint your drinks. The lid and sleeve are made with matte food-grade silicone which is designed especially for hot liquids. 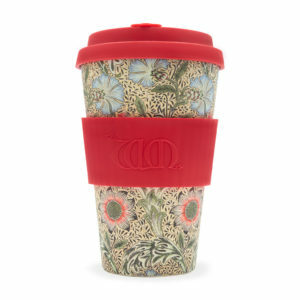 To find out more about Ecoffee Cup visit https://ecoffeecup.eco/ Each year, 100 billion single use coffee cups end up as landfill. That’s why we created Ecoffee Cup, an environmentally responsible reusable made with natural bamboo fibre – one of the world’s most sustainable resources. At just 160g, it’s light, sturdy and fully dishwasher safe. It also has a resealable ‘no-drip’ lid. Ecoffee Cup. Have Fun. Do Good. Not suitable for microwave. 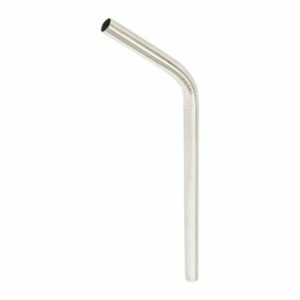 Add a touch of class to your drink with these high quality stainless steel straws. 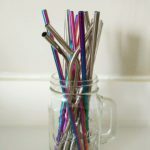 eco-straws are strong and sturdy, avaialble with an optional 8mm diameter, allowing you to easily sip thicker drinks, such as frozen cocktails, smoothies and milkshakes. 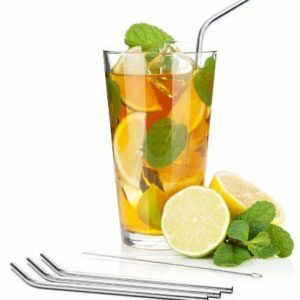 As eco-straws are manufactured from high quality stainless steel, they are suitable for use with both hot or cold beverages, and can be used time and time again. Green Tea with herbs, guarana and kombucha. Energising, focused, fruity. Green tea improves our soul’s inner alertness and concentration. Being aware and alert gives us a better perspective and a conscious presence. 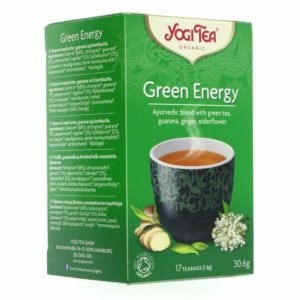 Enjoy traditionally used guarana from the rainforest in combination with smooth green tea in this focused Yogi Tea blend. Peppermint, lemon grass and elderflower give a fresh, fruity finish to this delicious blend. The essence of this tea is ‘Meditation in motion’. And each tea contains a Yogi mantra. Disposal of regular toothbrushes accumulates to approximately 1000 tonnes of landfill each year. The plastic they're made of won't break down in our lifetime. Nor within the lifetime of our children. Imagine that on a global scale. 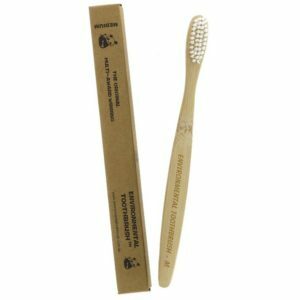 With the Environmental Toothbrush, you can be part of the solution! 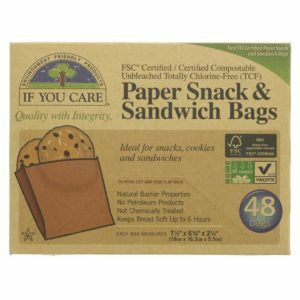 Food-safe, unbleached greaseproof paper bags Ideal for sandwiches, snacks and cookies Made from renewable, sustainable resources More eco-conscious way to wrap Pack of 48 Perfect for packing sandwiches for a packed lunch, or snack and fruit for taking with you on the go, these 100% unbleached, chlorine-free greaseproof paper bags are an ideal solution to have close to hand in your kitchen cupboard. 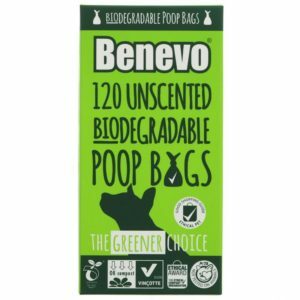 Perfect for those wishing to reduce their carbon footprint without compromising on quality. Almond Drink Powder is ideal for people who prefer to add water at home, helping both the environment and the weight of their shopping baskets! This product is also ideal for people who like to travel and can't store plant milks in a fridge or chiller whilst they are away from home. 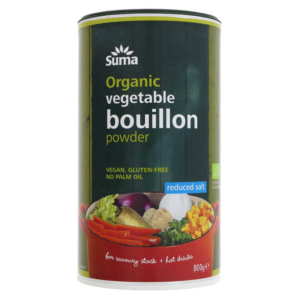 You can easily add this straight to hot drinks as a powdered alternative to milk. If mixed with water at the ration of 10g to 100ml (as suggested on the tub) this will yield 4 litres of organic almond milk, which represents a big saving when buying organic almond milk in non powdered form! 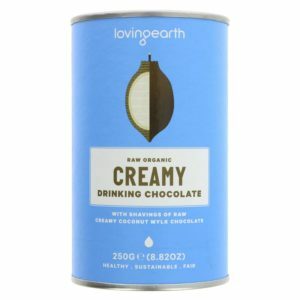 Gluten, soya and cholesterol free, vegan, no added sugar, certified organic, extremely tasty - the list of unique selling points goes on and perhaps explains why Ecomil non-dairy alternatives to milk are so popular! This product is Gluten-free, is Organic and is Vegan. 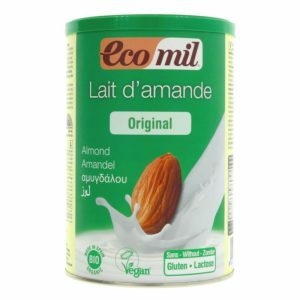 400g tub which will yield at least 4 litres of almond milk.